Is it always beneficial to show advertisements to the visitors of a website? How can firms use user profiling to make this decision? 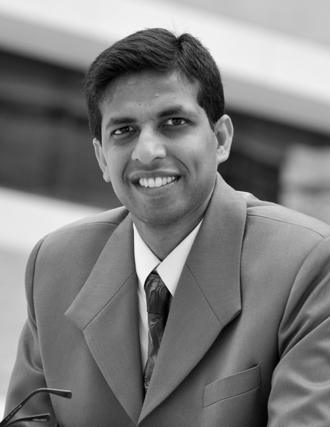 Professor Subodha Kumar writes from his research on an actual implementation at Chitika, an Internet advertising firm operating in the Boston area. The use of the Internet as a medium to deliver promotional material to prospective customers has grown tremendously in recent years. Despite the current economic slowdown, Internet advertisement (ad) revenue in the United States increased by 15% during 2009 to reach US$26 billion in 2010. This trend is expected to continue − an estimate predicts that Internet advertising will reach US$77 billion in 2016 and will constitute 35% of all advertising spending, overtaking television advertising. The ability of advertisers to accurately quantify the success of their Internet ad campaigns has been one of the most important factors driving this growth. When an ad is shown to a visitor on the website of an advertising publisher, the visitor’s click behaviour can be tracked. This is important for the advertiser because a click usually signals the visitor’s interest in the ad content. Therefore, we should not be surprised to find that many ad revenue models used on the Internet are based on the cost-per-click model. In this model, the advertiser pays only for a click, and not for an impression (i.e., the event where a visitor is shown an ad). The implementation, which began in March 2010, has resulted in a revenue increase of about US$3,000 per day for Chitika. Based on the data collected between March 2010 and September 2010, we estimate the total increase in revenue to be approximately US$1.2 million per year. clicked on is a lost opportunity; a different ad could have been shown in that space. Other content, or even the same content displayed in a more attractive manner, could also have used this wasted space. Therefore, publishers typically hold advertising firms responsible for efficiently using their real estate. The publisher conveys this requirement to the advertising firm in the form of a click-through rate (CTR) constraint. The CTR is the number of clicks generated divided by the number of impressions. Since its inception in 2003, Chitika has focused on building a large publisher network to enable advertisers to display their content on a diverse selection of websites. Chitika has more than 100,000 publishers spanning many countries; it also partners with large ad aggregators who provide it with a wide variety of ads. These partners collect revenue on a cost-per- click basis from merchants who wish to place ads. For example, if an ad has a per-click cost of US$1, the merchant pays this amount to the advertising partner when a click occurs on the merchant’s ad. The partner retains a fraction of this dollar, usually about 15 cents. Chitika and the publisher take their respective share of the remaining amount according to the terms of their revenue-sharing contract. 1) generate as much advertising revenue as possible, and 2) keep the website content interesting so that visitors continue to patronise it. We proposed analytic models to optimise the Chitika Premium programme. The problem has two aspects. First, we need to find a way to respect a publisher’s CTR constraint, while collecting as much revenue as possible for Chitika and the publisher. Thus, we need to optimise the campaign for a given CTR constraint. Second, we must find a convenient way to help the publisher choose an appropriate CTR constraint. The solution has two parts: 1) a step involving data analytics, and 2) a follow-up step involving decision analytics. The solution combines these steps and operates in real time. We use data analytics to predict the likelihood that a visitor will click on a given ad. If this probability is low (i.e., below a threshold controlled by the decision analytic model), then the space allocated for the ad collapses and the ad is not displayed; other wise, it is displayed. The challenge in the decision analytic model is to continuously var y the threshold so that the display criterion (i.e., the threshold) can be relaxed or tightened, depending on how much time remains in the planning horizon, which is typically one month, and whether the current CTR is above or below the target level that must be achieved at the end of the month. If we are ahead, we can lower the threshold and show more ads to generate more revenue. However, if we are below the target, then the threshold should be increased so that ads are shown only to more interested visitors. The implementation, which began in March 2010, has resulted in a revenue increase of about US$3,000 per day for Chitika. Based on the data collected between March 2010 and September 2010, we estimate the total increase in revenue to be approximately US$1.2 million per year. This revenue increase occurred because Chitika was able to sign up more publishers under the Chitika Premium programme. Over the past year, Chitika used its Premium programme to partner with a large advertising aggregator to show ads in the United Kingdom. As part of the trial process, Chitika was asked to demonstrate a CTR of 0.015 (1.5%). Our methodology provided a CTR of 0.0151 (1.51%), and Chitika won the contract, which has contributed to a huge revenue increase for the company. In December 2010, Chitika began offering another ser vice, Chitika Select. Most of Chitika’s publishers had come on board to use Chitika Premium with the expectation that Chitika would show ads only to visitors coming to the site from search engines (i.e., search traffic). This was a good starting point. Although Chitika had ads for visitors who came to its website from other sources (e.g., by directly typing in the company’s URL), it chose not to show the ads to these visitors because doing so might dilute the CTR. Chitika Select offers publishers the opportunity to expand their ad usage, thereby driving more revenue, with the assurance that the expanded coverage will not dilute the Premium CTR by more than 25%. Without a way to control the CTR dilution, the coverage expansion could seriously hurt the CTR and risk losing some publishers completely. However, with Chitika Select, Chitika was able to guarantee a specific CTR level, thus giving the publishers this option with assurance. The Select offering expanded the use of Chitika’s ser vice across a large percentage of the network traffic. Whereas with Chitika Premium, 1For a more detailed analysis, see the following article: R. mookerjee, Chitika accepted only search traffic and collapsed the ads for nonsearch traffic, the Select ser vice allowed it to show ads to a much larger traffic base. As a result, Chitika generated an additional 25% in revenue. Although this problem is similar to the one described above, its solution must also respect the performance constraints of both the publisher and the advertiser. In addition to the publisher’s constraint about exceeding a given CTR, the advertiser often poses an additional constraint, a cost-per-conversion constraint. The advertiser’s constraint requires that the cost-per-conversion value is below a specified constant. The cost-per-conversion value is the ratio of the total advertising cost, that is, the per-click cost times the number of clicks, divided by the number of conversions (e.g., a sale or registration) that are generated from the clicks. To solve this problem, we use the data analytics step to predict both the probability of a click and the probability of a conversion. The decision to show an ad depends on both probabilities, that is, we use two thresholds (one for the click probability and the other for the conversion probability), both of which must be satisfied to display an ad. Again, we vary these thresholds over the planning horizon, depending on current CTR and the current conversion rate. The inclusion of advertiser constraints often applies to situations in which Chitika contracts directly with the merchant for ad display, rather than obtaining these ads from a partner. Using the extended model, Chitika was able to win a contract to show ads for a partner who specialises in conversion-based payment schemes. This partner charges merchants on a cost-perconversion basis, but pays Chitika on a per-click basis. However, to retain this business, Chitika must deliver a sufficient number of conversions to the merchant and must also keep the publisher satisfied by using its website space efficiently. S. Kumar, and V.S. mookerjee, “To Show or Not Show: Using User Profiling to manage Internet Advertisement Campaigns at Chitika.” Interfaces 42.5 (September-October 2012): 449–464. This article contains (edited and summarised) excerpts from the original article.